Learning a new language is no joke. There’s always something new to learn and your comprehension and speaking abilities may not advance at the same speed. When you’re in France and need to converse face-to-face with French people, all your classroom learning gets very real. For all the times you understand and reply without a hitch, you’ll have other times where you’re going to stumble, not understand and sometimes want to run and hide. Even the most confident person gets butterflies in their stomach when speaking French in a new situation. Having to speak up in a crowded boulangerie, with someone you’ve never met, or in front of a large group can create all kinds of anxiety. But you have one extremely helpful tool at your disposal and all you need to do is to open your eyes: context. 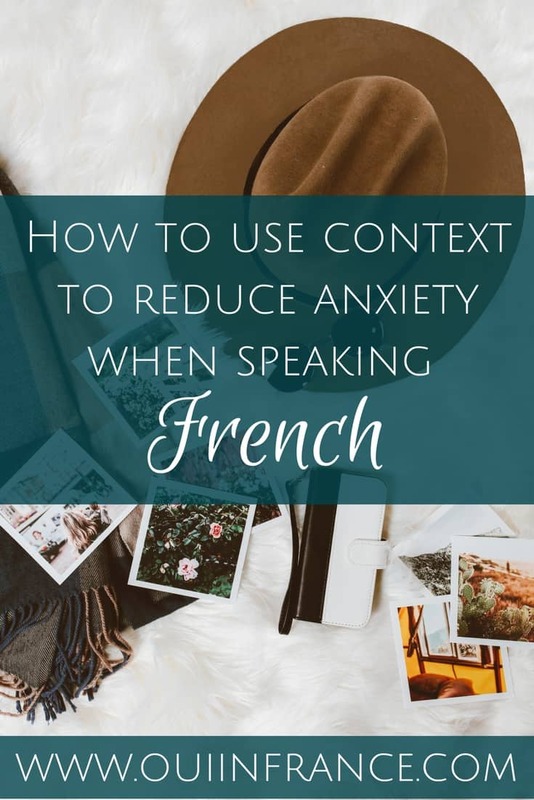 Here’s how to use context when speaking French. Read on! 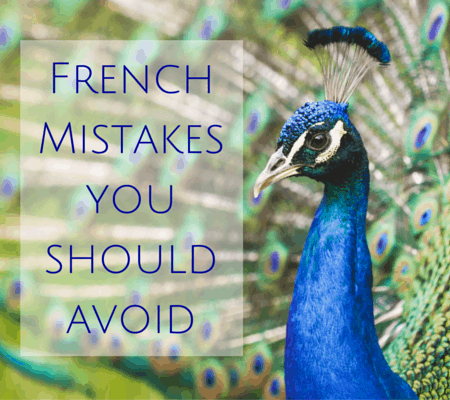 My post references French as the foreign language in the examples since it’s my second language and I live in France, but my tips could apply to any language. What I talk about here is not French specific. When I was a tourist in France just visiting on vacation, I’d get a little nervous when it came time to bust out my limited French. 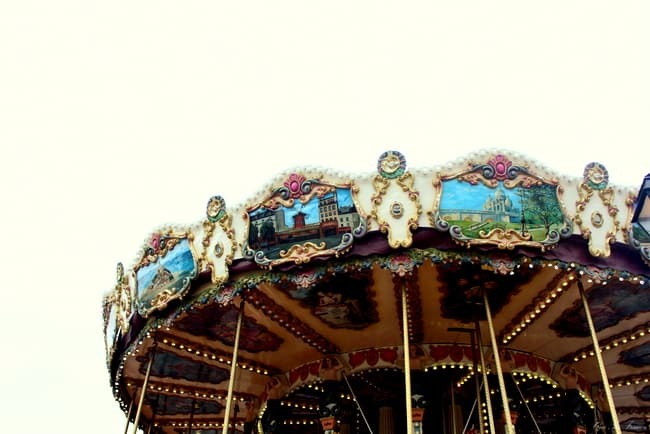 I was scared no one would understand me, that my accent would make people stare, and that I wouldn’t understand what the French person was saying to me. Speaking French would give me anxiety. But that fear as a tourist was nothing in comparison to what I feel as a foreigner who now lives in France and has to have legit French skills. 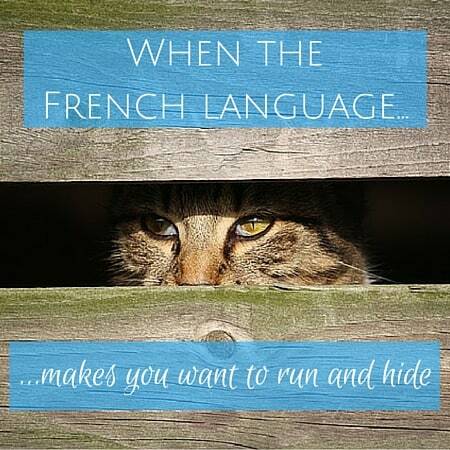 For some reason, once living in France and speaking French became permanent and a “must” in my daily life, the stakes were upped to a level where I felt I had to prove myself. That silly mistakes were no longer allowed. That I had to be good enough. I am good enough, but stressful situations knock your French level down a few levels. Even today, 5 years later, I still get nervous in certain situations and rely on the tips below. I don’t always say exactly what I want to say and finding the right words will always be a challenge. But we have tools at our disposal to help. I discovered how helpful context can be — at both calming my fears and helping me to sound like a pro. In any situation, the context will help you out at least 50% of the way (in my non-scientific opinion). Use what you have on-hand. So what am I talking about? What’s this context nonsense? For our purposes here, context refers to all the verbal and non-verbal cues you observe before having a conversation with someone. I’m talking about things like body language, gestures, facial expression, posture, how one is dressed, overall demeanor, etc. Context is the difference between having a conversation with your eyes closed versus being able to see all the non-verbal cues before speaking to someone (or them speaking to you). Imagine sitting on a park bench with a blindfold on when someone approaches you to ask a question. You’re, quite literally, in the dark. You have no idea who the person is or what they could possibly want. Is one person approaching you or a group? Is it a child? An adult? How are they dressed? Do they want a cigarette? Are they looking for directions? Are they telling you that you dropped your scarf? Before the person speaks, you won’t have a clue someone is approaching you and have to rely entirely on your ears. When you’re not so confident in your second language, this can be quite daunting. But with your eyes open? You learn so much more. Don’t underestimate how much context can help you. Before I go into how to use the context when speaking French, let’s talk about why you’d want to focus on the context. There are a few reasons, but the biggest is that it gives you a leg up before any conversation starts. Speaking in your second (or third) language isn’t always easy, so any help you can get to make the interaction go more smoothly is a step in the right direction. You may learn valuable background info by taking a few seconds to observe what’s going on around you. You’ll feel more confident going into the conversation, so plain and simple, notice the context because it will help you! Sometimes a little mental boost is all you need to calm your nerves. In the seconds leading up to an interaction, take a mental inventory of what’s going on. You can learn a lot before language even gets in the way. Is someone approaching you in their car when you’re out walking your dog? Are you at the bakery about to order? Are you waiting to speak to the busy pharmacist who is on the phone with a tense look on her face? Is a waitress about to speak to you at a restaurant? Is someone making a gesture to indicate you dropped something? In all of these situations, you can rely on context to tell you what’s going on. Generally, when I’m out with my dog and someone rolls down their car window to speak to me (happens about once a week), 9 times out of 10 they’re looking for directions… to the nearby dentist. They see me, a woman with a dog, and assume I live locally and know the area. True. So when they roll down their window and start to speak, I already know they’re most likely looking for a place. I perk up my ears and know to listen for a place or street name. Similarly, at the bakery, I know that the cashier is going to ask me the same question after I order my baguette if I don’t say “c’est tout” (that’s all). She’s going to ask if I’d like anything else or if I’m all set. I’m ready for it if I anticipate what’s coming. Depending on the setting of an interaction, you can learn a ton about what’s to follow. A teacher in front of a class, a cashier at the grocery store, a shop employee, etc. 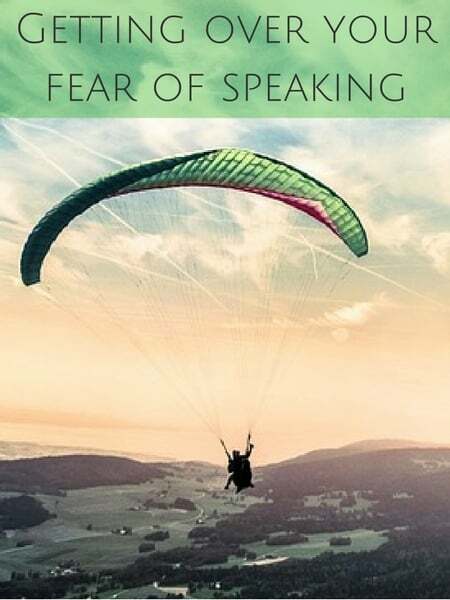 You can easily learn vocab that’s appropriate for each situation and then predict the types of things each speaker might say. A shop employee might ask if they can help you, if you’re looking for anything specific. A grocery store cashier might ask you if you’re paying with cash or if you have the store’s reward card. Our life experiences help us predict what we might hear. Think of a few common scenarios in your head and what types of words and phrases you’re likely to hear. Even knowing just one or two key words can clue you in to the entire question. Here’s an example for you from the grocery store. When I first moved, I had trouble making sense of each word I heard people say. The subject and verb of a cashier’s question got jumbled together and I barely heard the “est-ce que vous avez (do you have)” part, but know what I trained myself to listen for? The “carte de fidelité” that came at the end. She was asking me if I had the store reward card. Teach your ears to listen for key words in common scenarios. Sometimes that’s all you need. Body language counts for more than we realize. Observing people’s facial expressions and gesturing can clue you in to half the situation before a single word is uttered. Is the person tense or relaxed? Is their facial expression happy, angry, neutral or something else? Is the person waving their hands around furiously or casually strolling up to you with their hands in their pockets? Having a starting point like “OK, this person seems upset and on the verge of tears” will give you valuable information about what’s going on. It’s impossible to hear every word of every conversation every single time. Even native speakers have brain fart moments and it’s only normal to ask someone to repeat themselves. If you didn’t hear or understand the entire question, don’t panic. Use what you did hear to your advantage. If your neighbor approaches you when you’re taking out the trash and all you heard was “livraison” and “matin,” you know they said something about a delivery and the word morning. Did they need help with their delivery? Did they get one of your packages? Is something coming this morning? Instead of getting flustered or pretending you understood when you did not, just repeat what you did hear in the hopes of getting more info. Try something like, “Vous avez dit une livraison?” That confirms to them that you generally understood they were talking about a delivery but politely encourages them to explain further. 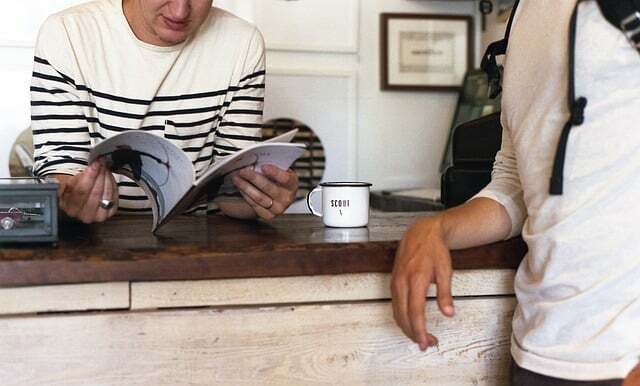 Little by little, you’ll get more confident speaking French and won’t need to rely on tips and tricks because everything will happen naturally. You’ll understand and be able to reply without a hitch. But until then, keep my tips in mind about how to use context when speaking French. It’s more helpful than you might think! Want a great book to learn French? I reviewed Pardon My French here and it’s worth a look. And let’s not forget about these tips to sound more natural. 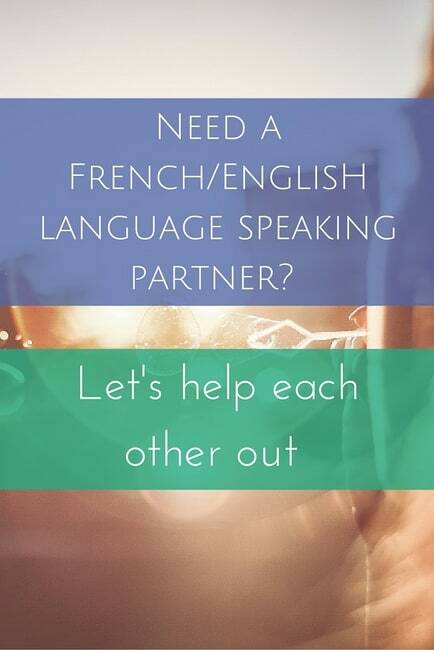 For my #1 resource if you’re serious about learning French, click here to learn about Lingoda! How has focusing on the context of a situation helped you? Any tips to add about how to use context when speaking French? Wow, 4th language?? You’re incredible! It just takes a lot of dedication and patience. If you’re willing to put your mind to it, you absolutely can learn. There are so many great resources on the web as well (many of which are free) if you want to start! I wonder if you’ve heard the excelled podcast ‘The Land of Desire’? It’s about history topics in France and I really love it! Something for all the Francophiles out there. It reminds me of this blog in some ways. Hi Jen, I have to say I’m not too well-versed on podcasts. I don’t think I’ve ever listened to one (on any subject) in its entirety. Will have to check it out! Good tips here and this is what I generally do. I have given French native speakers directions to the syndicat d’initiative, it was obvious when they wound down the car window what they wanted and luckily we were in a village. Also at the supermarché I know they will ask if I have a loyalty card. But what do do when you are paying for insurance over the phone, you ask if they will send the insurance certificate by email or post and the employee fires off an answer so quick you are dumbfounded. I asked him to repeat again slowly (after apologizing for my poor French at the start of the conversation) but still I had no idea what he said. I decided not to worry…the certificate would probably turn up, wouldn’t it? No, it hasn’t. Dreading next phone call to Groupama to chase said certificate! The phone adds a whole other level of complexity because you can’t use context to your advantage. Sometimes I still get tripped up. I think when you approach someone on the phone who is at their job (which is to help customers), just stay calm and polite and ask them to repeat themselves. Or rephrase. And then use what you’ve just heard to try to recap what was clear and what wasn’t. Use basic terms and just try to repeat what you’ve heard and see if you can make any headway. I find sometimes going and speaking face to face can be helpful if that’s an option. If you’re still stuck, ask someone for help! Thanks for your reply. I was very polite and calm, (you don’t want to piss off someone who can help you!) but I just didn’t understand a thing he said. I understood the first employee, but when she connected me to the relevant person…brain fart I suppose. Will phone again next week and if faced with the same problem will ask them to email me as I understand the written word much more. Unable to visit their office as I live in UK. Ah ok, didn’t know if you were at your new place or what. If they are polite, I stay polite. If they get rude or angry, it’s best to get rude or angry right back as strange as it sounds. In the US I’d stay calm but here when you are faced with an unreasonable rude person, you give it right back to them, or so I’ve learned. And then they help you! Good luck. Oh! Thanks for that advice, I’d best learn some insults then! lol.